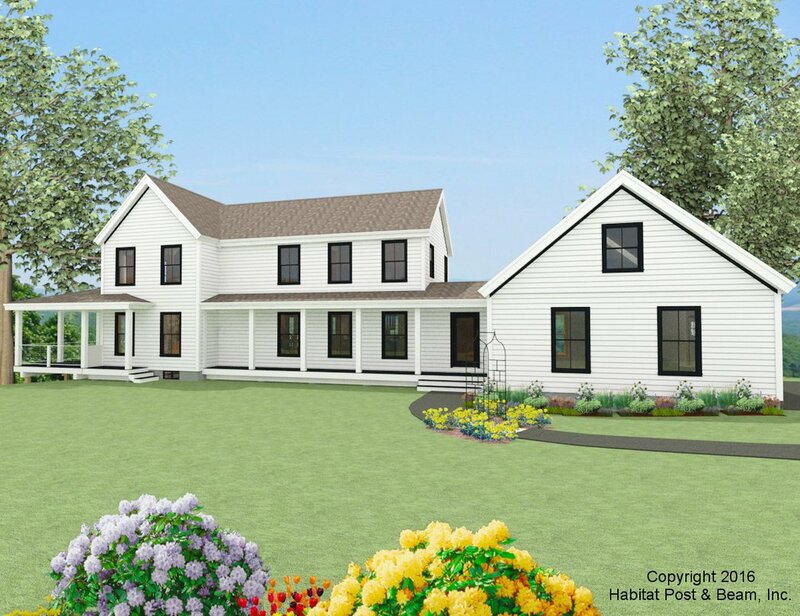 This farmhouse style plan has a very flexible layout that can easily be changed to match your specific needs. 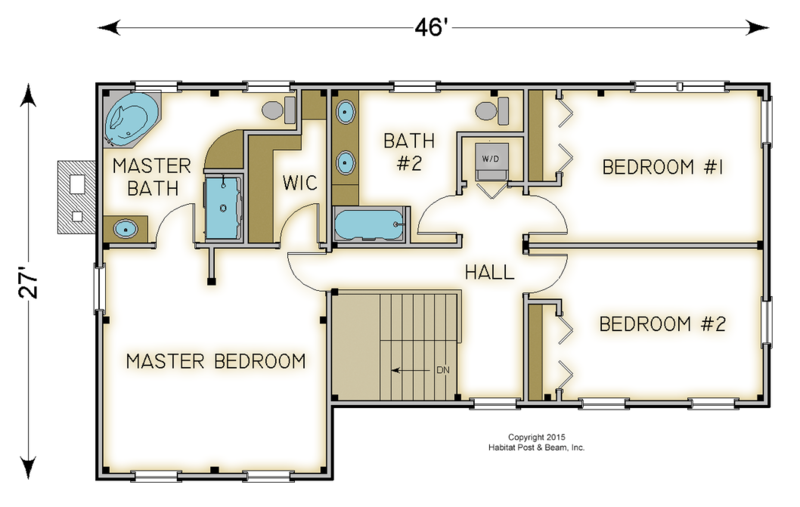 This plan has the master bedroom and two additional bedrooms in the upper level. 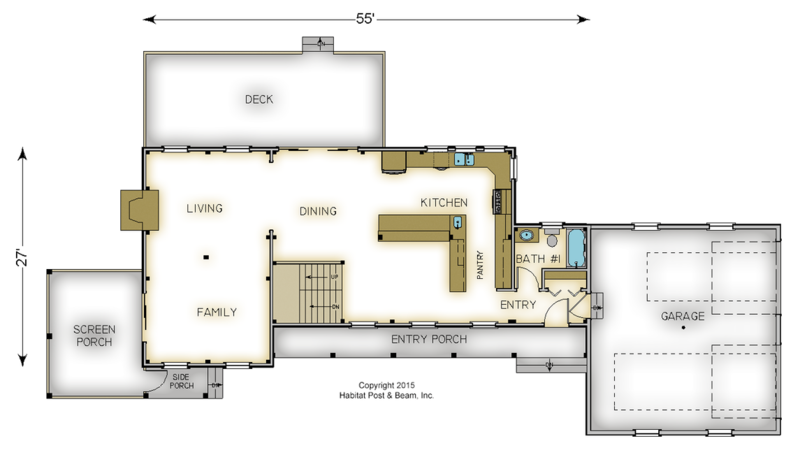 The family room could easily be converted to a bedroom or den if desired. 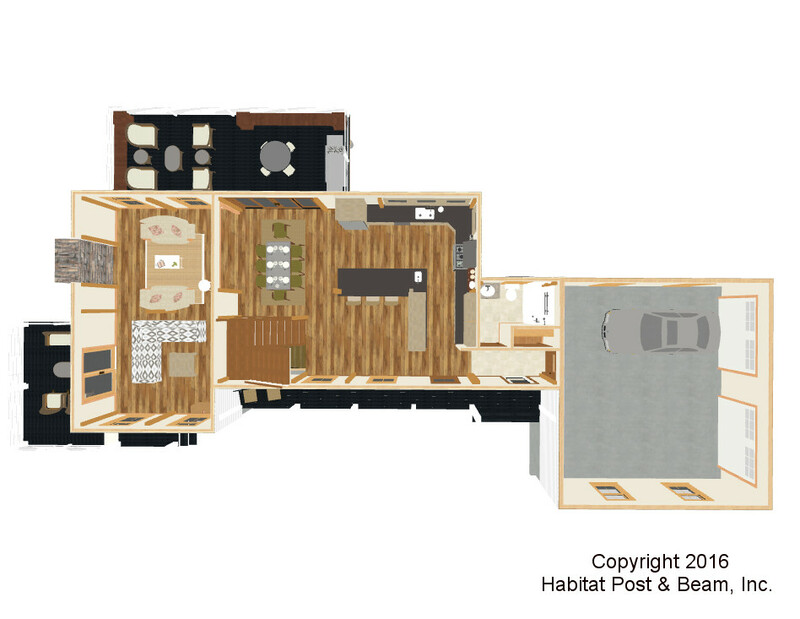 Package Price: $174,500 as specified below (from $163,500 to $206,000 depending on framing options). The standard price includes our Full Exposure Wall System, Plaster and Beam or Beamed Mid-Floor System (same package price), and our Plaster and Accent Beam Roof System over upper level and entry bumpout. The entry and screen porches are our Liner Porch System. 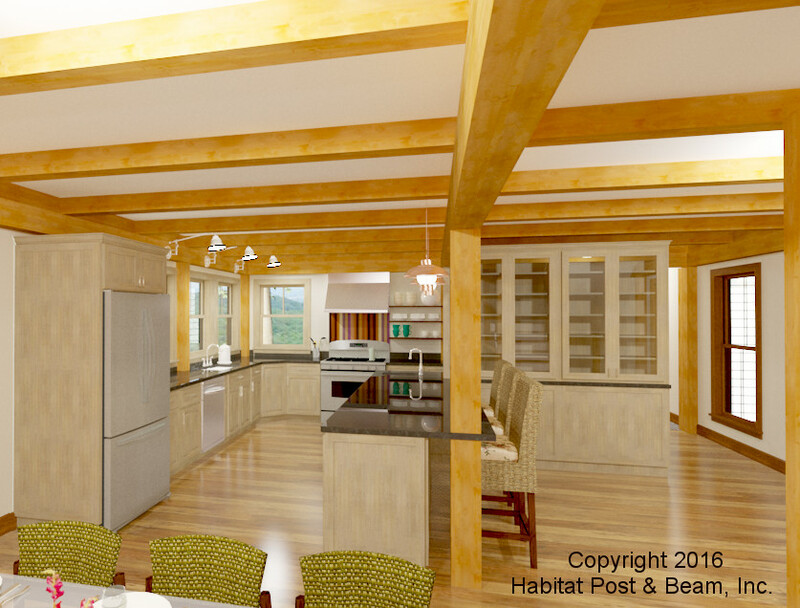 The garage and walkout basement are not included in the above pricing.